There are goals and then there are SMART GOALS. It is NEVER a bad to time to create goals and a plan to accomplish them. Want to change the world? Want to change ANYTHING?! 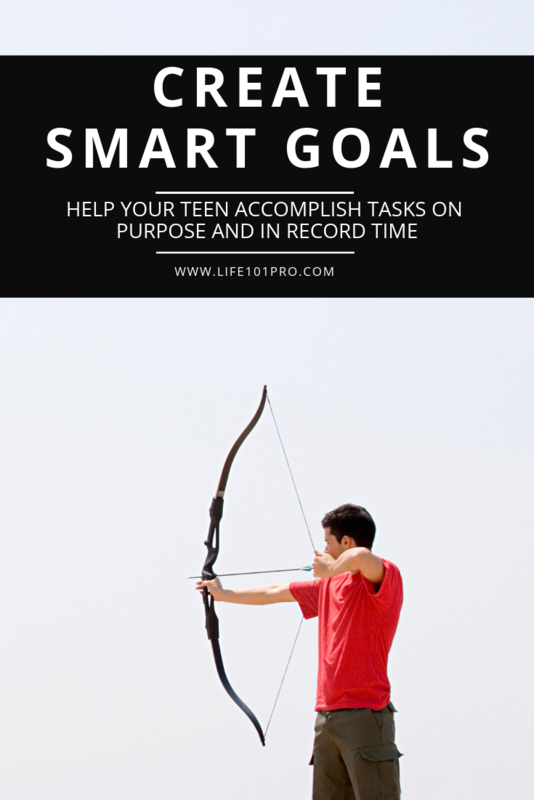 I first learned about using the SMART system to create goals from Michael Hyatt. Be CLEAR about what you want to accomplish. How can you measure this goal? I like to start with where I am and create a path that will get you to that goal. Other people like to start at the end and work their way backward. Whichever way helps you create measurable steps for your goal – do it! Accomplishing ANYTHING takes action, so just consider this part of the process of creating your awesomeness. Take each step you created on your path and create an action plan for it. Create rewards for every time you complete an action step. Lastly, put deadlines on each step of your path. For all us procrastinators out there – having deadlines keep my wheels turning. I love completing tasks right before they are due. Not gonna lie, I kind of give myself an invisible shiny star when I meet my deadlines. 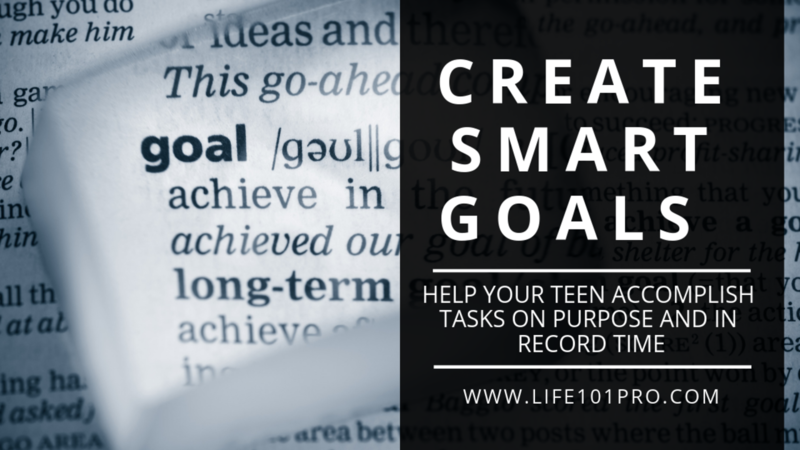 We created a worksheet for your teen to work through when creating S.M.A.R.T. Goals. State the basic goal idea at the top, go through defining parts of their goal and then at the end a place to re-write the goal using the information they added. Keeping an eye on your goal helps you stay focused on what you are trying to accomplish. Once they have filled in the worksheet, have them write the final S.M.A.R.T. goal on a separate sheet of paper and tack it to their wall, paper clip it in their planner, tape it to their closet door. Have them put it somewhere they will it everyday.